I’m back after a little hiatus with a new Mani Monday special! 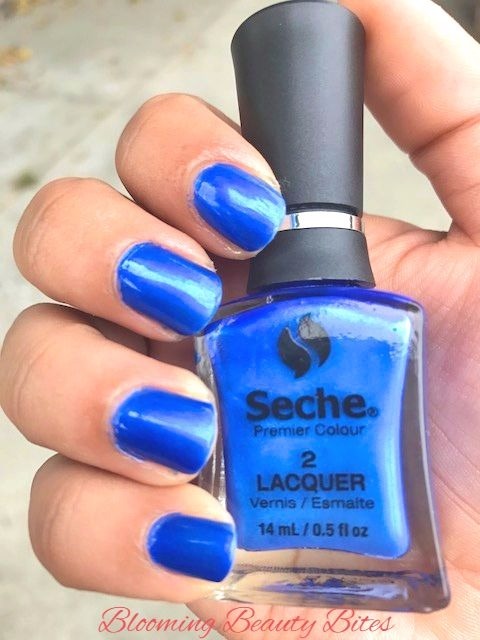 Since we are getting into the fall season, I opted for a dark metallic cobalt blue from Seche Premier Colour sold at Sally Beauty. I got it for under $2 in the clearance bin! FYI: Always look for the clearance items at Sally Beauty, you’d be surprised! This is called Ambitious and I just love the way the blue stands out, it’s a great color for fall! What do you guys think?! 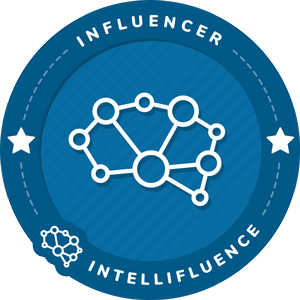 Be on the lookout for some birthday posts and tips! 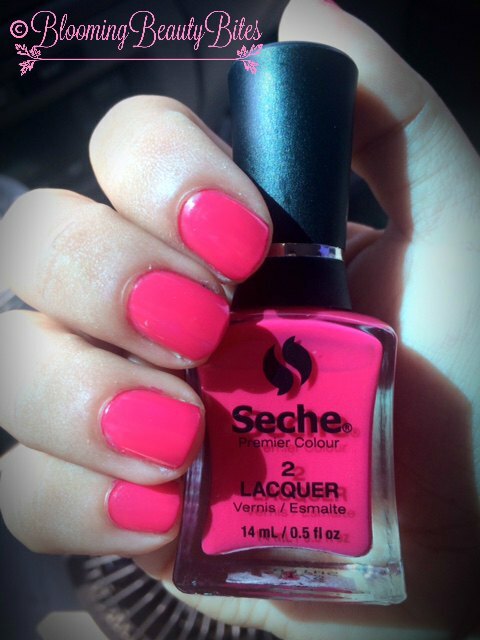 I was at Sally Beauty a few days ago and found this beautiful Seche Premiere shade in the clearance section. You’d be surprised what you’d find in those clearance bins! It’s an intense magenta shade with a duochrome of pink and very light sparkle. I needed a change from all the metallic shades I’ve been wearing! So what do you guys think?! Hope you all had a great Labor day weekend here in the states! I’m so happy that autumn is coming closer which means more sweaters, amazing fall colors and our most loved flavor PUMPKIN SPICE!! 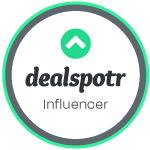 I realized Sally Beauty, TJMaxx and Target are my guilty pleasures! I just can’t come out of those stores without buying something. 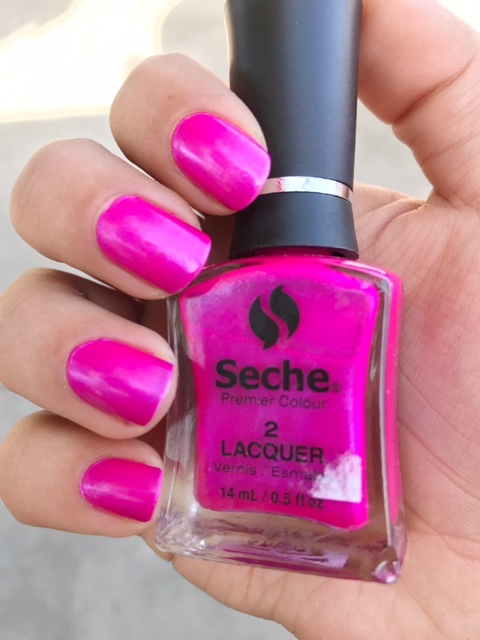 I went to Sally a few weeks ago and went straight to the clearance section since I’ve fallen in love with the Seche Premiere polishes. I found them again and bought 2 and it was an extra 50% off. You can’t go wrong especially if I only paid $1.18 for each! 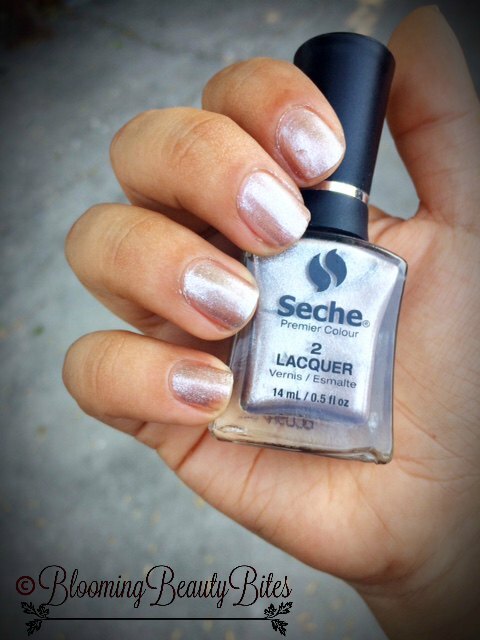 Here, I’m wearing Seche Premiere in Gifted. From the bottle, it looks like a rich ruby red but as you can see, it looks more like a ruby pink red shade. Either way, I love it! I applied 2 coats and topped it off with Revlon ColorStay Gel Envy Diamond Gel Top Coat. Hope you all has a great weekend. Can’t believe it’s Monday already! I’m back with a Mani Monday and I just love this line! 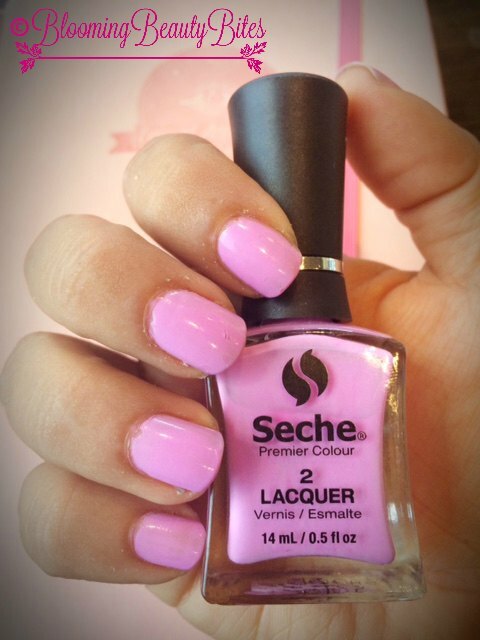 As the few previous Mani Mondays have been about the Seche Premier Colour nail lacquers. I’ve finally purchased the base coat and I’m still iffy about it, I guess I must play around with it a bit more. PS: The journal in the back is my law of attraction journal. So excited to try it and tell you how it goes! Hope you all had a great weekend and have been able to cool down in this crazy heat! I opted for Goddess which is a pretty metallic glittery almost white gold look to it. I think if I were to add this shade to another color as a top coat, it would look even prettier. Changing it up a bit here on the blog: By the time I did my nails yesterday, it was too late to take a picture of it. I figured I’d post it today! I love going to Sallys Beauty and looking at the clearance sections. Sometimes if you’re lucky enough, the clearance section is actually 75% off of the red tag. 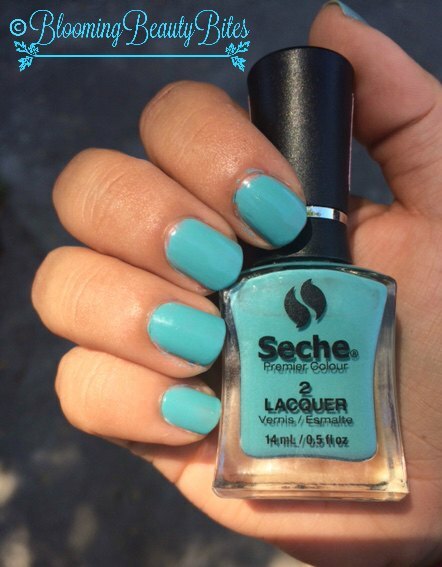 I found this beautiful Seche Premier Color in Vivacious for only $2.99. Not bad at all in my opinion! I think I might actually buy the base coat for this line later on this week. I used two coats for this beautiful teal shade to show off this beauty!